Ever shot a straight-pull (aka toggle-link) action rifle? We like these action types, which were developed for Biathlon competitors who needed to shoot fast, but were not allowed to use semi-auto actions. The biathlon-style toggle action features a lever on the side of the action. Pull the lever back with your index figure to open the bolt, then push forward with your finger to close the bolt*. It’s fast and efficient. With some practice, you can cycle the action in a couple of seconds — nearly as fast as a semi-auto. The Volquartsen Summit .22 LR rifle is based on a concept originally developed by Primary Weapons Systems. Designed for both competition shooting as well as small game hunting, this unique rifle features a straight-pull, toggle-style action with a Ruger 10/22 profile. That means you can run 10/22 magazines, swap into stocks inletted for the 10/22, and even use after-market 10/22 barrels. The CNC-machined receiver features an integral 20 MOA Picatinny Rail. The Magpul stock adjusts for length of pull. Weight is 5.8 pounds, so this is easy to carry in the field. The Summit features a lightweight carbon fiber-wrapped barrel, threaded 1/2×28 at the muzzle to be suppressor-ready. One of our favorite features on this little rifle is the trigger — which has a light, crisp 1.75-lb pull weight. Watch the video above to see the Summit .22 LR in action. The tester, 22 Plinkster, was impressed with the rifle’s ease of use and accuracy. The Summit delivered a 0.277″ group at 50 yards, shot from the bench. Volquartsen will have the new Summit straight-pull rifle on display, along with a wide variety of rimfire firearms, at its booth at the NRA Annual Meetings in Dallas this week. The Exhibit Hall opens May 4, 2018. You’ll find Volquartsen at booth #2520. Friday May 4, 2:00 – 3:00 pm — 22Plinkster will be there to discuss all things rimfire. 22Plinkster has a great YouTube channel that boasts over 472,000 suscribers. Saturday May 5, 11:00 – 12:00 pm — Fox News commentator and best-selling author Katie Pavlich will discuss Second Amendment issues. Saturday May 5, 1:00 – 2:00 pm — Multi-time world champion shooter KC Eusebio will answer questions about action shooting. * Biathlon shooters cycle their Fortner toggle actions even faster, using their THUMB to close the bolt. This allows them to get the index finger on to the trigger blade faster. The whole process takes maybe a second — as fast as you can say “snick-snick”. To use the thumb effectively, you need a stock with a more vertical pistol grip. The Magpul stock on the Summit moves your thumb a bit too far back to use comfortably to close the lever without shifting the hand. 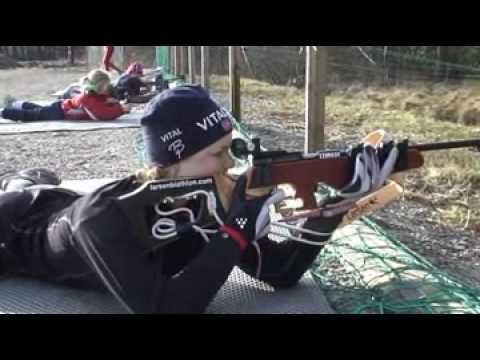 Share the post "Volquartsen Straight-Pull Summit .22 LR Rifle"
Shooting is hugely popular in Norway. Each summer, the Norwegian National Rifle Championship draws 4,000-6,000 participants — an amazing number considering the population of Norway totals just 4.9 million. In Norway, as in Finland (home of Lapua), kids often get started in competitive shooting as early as age 6. In this video, you’ll see four Norwegian kids, Torje (age 8), Anders (age 7), Tonje (age 9), and Mari (age 15) trying out an Izhmash Biathlon rifle. 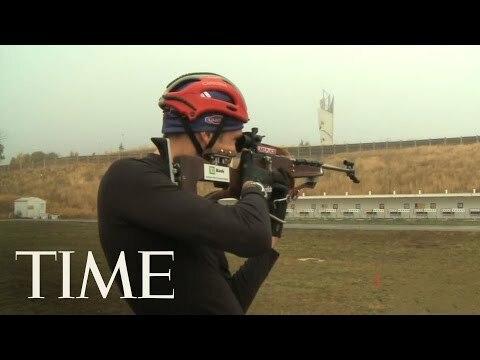 The rifles in the videos are both toggle-bolt Izhmash Biathlon guns, made in Russia. Like the German Fortner straight-pull action (used by Anschütz), the Izhmash toggle bolt action allows extremely rapid bolt-cycling. Shooters can quickly eject and reload without disturbing their shooting position or sight picture. 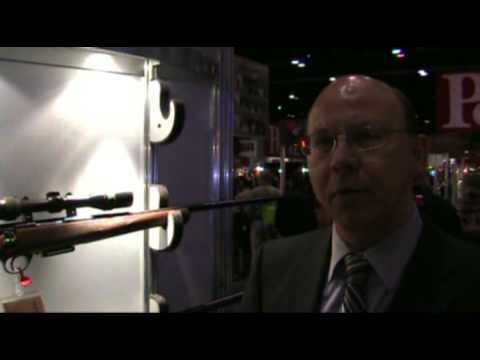 The rifle in the first video sold in the USA last year for about $1560.00. That sounds expensive, but it is half the price of an Anschütz Fortner biathlon rifle. Check with AltiusGuns.com for current pricing and availability. The Izhmash Biathlon is offered in two models, the Biathlon 7-4 for adult men and the more compact Biathlon 7-3 for women and juniors. FYI, while the Izhmash 7-3 and 7-4 have not been imported in recent months, MT Guns still has a few LEFT-HAND model 7-4 Biathlon rifles in inventory. Southpaws, if you want one, call MT Guns at (805) 680-0201 before they’re all gone. Share the post "They Start ‘Em Young in Norway…"
Before Slovenia, Tim Burke made history twice at the previous World Cup event in Ostersund, Sweden. His silver medal performance in the 20km Individual competition tied the best World Cup finish ever for a U.S. Biathlete and Tim followed that performance by capturing the bronze medal in the Men’s 10km sprint event. Burke’s bronze medal marked the first time a U.S. Biathlete has ever reached the podium in the sprint competition — and the first time that Americans have won silver and bronze medals in the same competition. In the major World Cup competition leading up to the 2010 Winter Olympics in Vancouver, British Columbia, Team USA has gained world attention. The U.S. Biathlon team has been called the most improved team in the world by Olympic and Biathlon experts. Michael Dixon, Eurosport TV Biathlon Commentator, reports: “The United States Biathlon Team is the most improved in the world. It won’t be long before a moment of brilliance brings them to the podium for their first Olympic medal.” The YouTube slideshow below shows the USA Biathlon Team in action. NOTE: If you’re at work, you may want to turn down the speaker volume before playback. 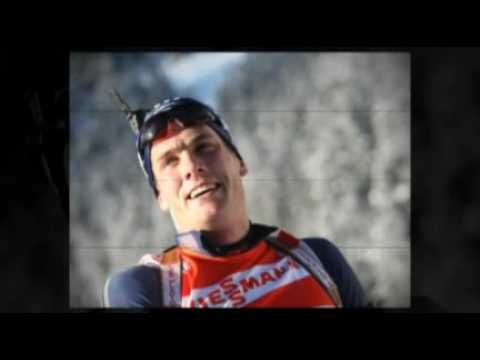 Share the post "Tim Burke, USA's Top Biathlete, Leads World Cup"
The New England Disabled Sports Paralympic Biathlon Academy (NEDS) recently sponsored a paralympic biathlon event, hosted at the Pemigewasset Fish & Game Club in New Hampshire. At the biathlon, disabled shooters competed alongside able-bodied competitors. While this was a Paralympic Academy event, the biathlon competition was open to both disabled and non-disabled. There were multiple divisions to accommodate everyone: mountain bike, running, walking and wheelchair. All stages of fire were off-hand (no prone), to equalize the match for wheelchair-bound competitors. NRA’s Disabled Shooting Manager Vanessa Warner attended the event, competing from a wheelchair (though she is able-bodied). This helped her experience some of the challenges that face disabled shooters. Vanessa reports: “The wheelchair course consisted of five loops with four stages of shooting. We did a loop first and then shot. Shooting in the biathlon is very difficult because the athlete shoots with the same arms [used] to propel the chair. Shooting from a seated position is hard enough but doing so with arms that were already stressed is more difficult than one can imagine. Following the biathlon, NEDS conducted a shooting clinic for people with disabilities, followed by a short target competition. Jeff Krill was the champion with a 100-7X score. Photos and story courtesy NRABlog.com. Share the post "Disabled Shooters Compete in Paralympic Biathlon"
In the interview, Jochen noted that Anschütz has introduced a new Model 1770 hunting rifle, chambered in .223 Remington. This features a new six-lug action — the first all-new action design from Anschütz in 30 years. Below, Jochen holds the top-of-the-line Anschütz biathlon rifle. Designed for Olympic-caliber biathletes, this gun has a straight-pull Fortner action that can be cycled nearly as rapidly as a semi-auto. Among the Anschütz designs on display at Shot Show was the new Anschütz model 1913 position rifle with a gorgeous “1918 ALU Precise” brushed aluminum stock. It looked like it had been crafted in an aircraft plant. 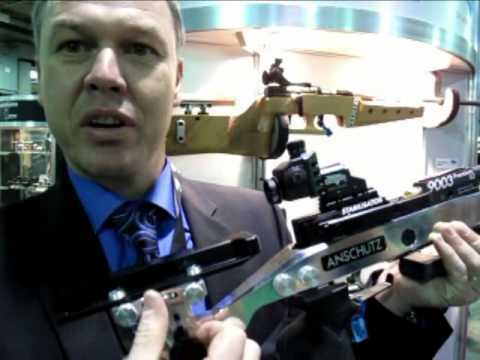 Share the post "SHOT Show Report: Anschütz Showcases Olympic Rifles, New .223, Air Rifles"
Shooting off the ground with bipod has taught us the importance of a good, comfortable shooting pad, with non-slip areas for the ‘pod legs and sufficient length (and thickness) to cushion our middle-aged hips and knees. Creedmoor Sports offers a high-quality Shooting Pad for $75.00. This mat, popular on the High Power rifle range, has a waterproof vinyl bottom and a marine finished top with extended textured non-slip pads for elbow placement. Interior jute padding provides ample protection for the shooter in the shooting position. The Creedmoor pad measures 29.5″ X 68″. ChampionShooters.com offers a similarly-sized shooting mat with some additional features. The 27″x72″ Champion Deluxe Roll-up Mat is soil-resistant canvas with a vinyl waterproof bottom. It has a 25″ X 21″ rubberized section added to the shooting area. To provide additional protection there are leg flaps on either side at the bottom, together with a dust flap in the front. This pad weighs 8 lbs. and costs $74.00. For F-Class shooting, one thing we’d like to see from the pad manufacturers is a second no-slip, rubberized section in the middle of the mat for the rear sand-bag. We’ve seen some pads that have been modified with a rubber-covered aluminum plate in the middle of the mat for the rear sandbag. That provides great stability for the rear bag, but a hard plate demands that you fold the mat, rather than roll it up. Share the post "Shooting Mats for Bipod and Prone Shooters"